I have a cake smash/one year old photo session coming up soon that I’m pretty excited about. I LOVE to do cake smash sessions and just photographing one year olds in general. It’s a fun age and a BIG time for both the child and their parents. They have graduated ‘baby’ phase, & they get to eat cake and party! The really lucky ones get to have their photos taken by me :). They’ll always be our babies but there’s something about them turning the big ONE that makes it official. Its funny too how one year ago, your family and friends all gathered for their birth, then in the blink of an eye, they are gathering again for their very first birthday! Cake smashing sessions are super fun b/c you never know what that little one is going to do. They could dive right in, or have no interest at all. One of my favorites was where the little boy went face first in his cake, then at the end, just rolled right into it. It was like a fun new toy to him and he was not afraid. One year old sessions do not have to includ a cake smash. 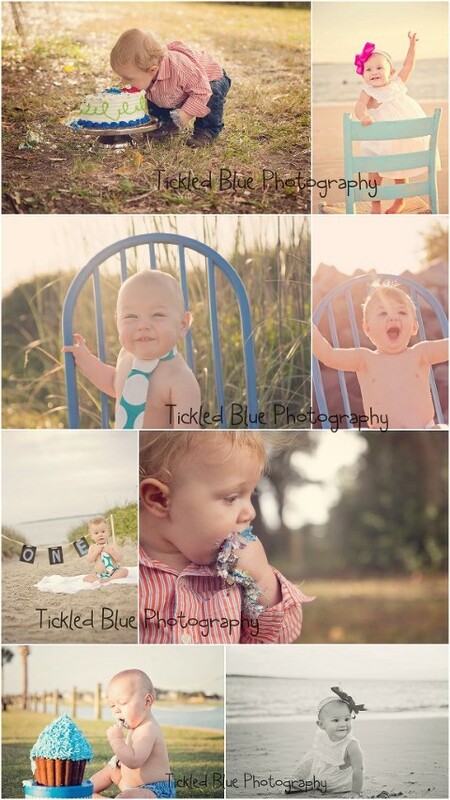 Some opt for just photos of their little one at the beach, the park, at home, wherever, and that is perfect too. Whatever you decided to do for your little ones big day, make sure you get lots of photos of it b/c before you know it, you are rounding the corner to their 2nd birthday! Make it easy on yourself and just call me to set up a session with them!